Welcome to all of you from Guty & Simone “The Italian wedding musicians and DJs”!!! We have more than twenty years experience as professional musicians, and for more than ten years we have specialised in wedding music for foreign couples getting married in Italy. We work an average of 40/60 events per year. We think we do have something to say about Casa Cornacchi, and it’s not random… or cliched: this is a very special place to us, we’ve played here so many times in the last decade; during the last years we’ve seen it getting better and better and we watched this wonderful venue become one of the best wedding location in Italy, we can not recommend it enough!!! Casa Cornacchi is located near some of the most famous art cities of central Italy (Florence, Siena, Arezzo, Cortona, San Gimignano, Montalcino, Perugia…) it makes many towns in Tuscany easy to reach and it’s also near to other areas of interest such as Chianti Classico, Crete senesi, Thermal baths…. The view, the rustic buildings, the pool, the over-abundant flowers, fruit trees and herbs, all is absolutely perfect in every single way… the food is incredible; we can’t even begin to describe how good the food is but it’s certainly one that you will remember forever and ever!!! But nevertheless all these wonderful things, what makes Casa Cornacchi unforgettable are Barbara, Giacomo and all the staff. These guys are amazing, helpful, sincerely wanting your stay to be the best and seemingly never go off duty …they really will make your stay!!! 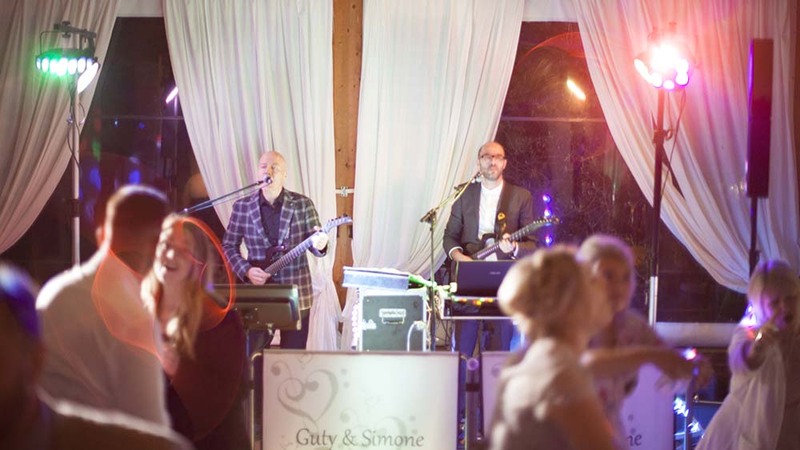 Why Guty & Simone – The wedding band Casa Cornacchi? The main goal of our Casa Cornacchi Wedding band is to exceed your expectations and do everything better than you imagined; we have had a lot of experience due to many years of practice in this field and the numerous weddings organized for foreigners who have chosen Tuscany and Italy as their wedding location. We have a high understanding of spoken and written English. We’ll work with you in good time before the event date to understand your needs and preferences and will plan just the right music for entertaining you and your guests during the entire wedding day. Our Casa Cornacchi wedding band is not only a music band, it is a full sound design for events. We have a vast repertoire which covers all musical genres from the 50’s to present day including: Italian and International Pop, 70’s-80’s Disco, Latin, Rhythm and Blues, Ratpack/Swing, Rock, Reggae, Country and Folk etc. 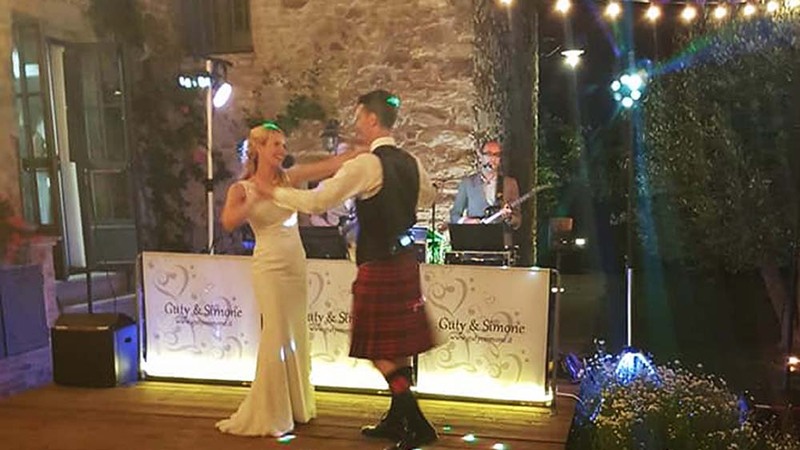 Furthermore, over the years we have expanded our repertoire to include the songs that are often the most requested by newlyweds from Ireland, UK, USA, Australia, Germany and Holland etc. 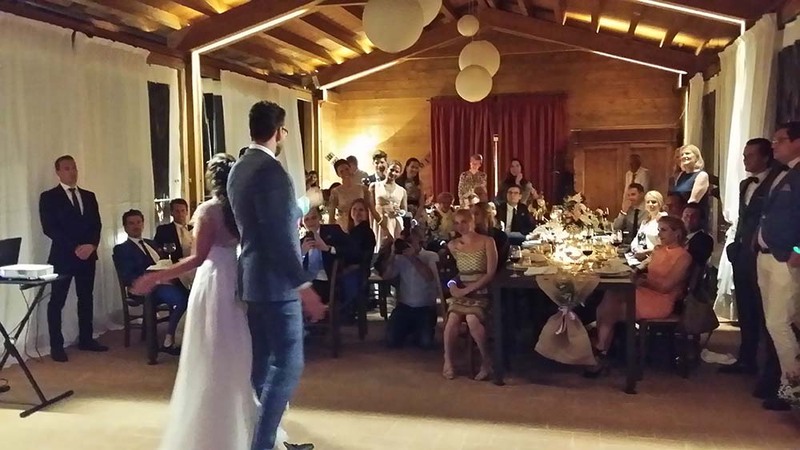 That’s why so many couples from all the world chose us as their wedding band Casa Cornacchi! To ensure that the party is even more enticing, in addition to live performance, we also offer a DJ service where we can mix requested songs in true DJ style. All requests from newlyweds or guests are granted instantly, including more modern genres such as R&B, Hip Hop, EDM as well as the latest chart hits. This means that there are no breaks and the music doesn’t stop until the end of the evening. In addition to the standard package our Casa Cornacchi wedding band can also organize the entire music entertainment for your BIG DAY!!! – Ceremony music: Acoustic guitar, Harp – Harp, Violin – Harp, Violin and Soprano voice – Keyboards, Soprano voice – Piano, Tenore and Soprano voice duo – String quartet – Classical guitar – Ceremony DJ and Audio microphone service etc..
Our Casa Cornacchi wedding band can provide many other services and suppliers! – Casa Cornacchi Wedding band can help you also to pay ONLINE the SIAE music tax fast & easy from your home, wherever you are!! If you’re looking for something special for your Wedding Reception our Casa Cornacchi Wedding band can help you!! Contact us here!